Ordering parts and scheduling service requires you having your Club Car serial number on hand. The instructions below will walk you through finding your Club Car serial number location on the vehicle. The series of numbers represent the Club Car serial number, model year and production week. Beginning in the 1980s, all Club Car vehicles include a serial number plaque at the lower edge of the dashboard. This Club Car serial number convention is 12 characters and indicates the model, the model year and the production week that your vehicle was produced. As a secondary method of locating the Club Car serial number in the event you are unable to find a serial number plaque, contact us at 979-774-5741 with the serial number from the transaxle, electric motor or gas engine. 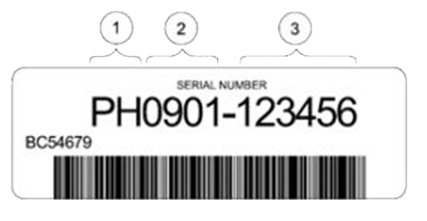 Utilizing that information, we can assist you with identifying the serial number of your specific vehicle.